Belgium and the Netherlands are the two main salsify-producing countries, and in France salsify thrives on the sandy soils in Picardy and Le Loiret. Salsify is low in calories but high in nutritional value, for it is rich in potassium and in calcium, is high on manganese and is a good anti-oxidant. And, this fibrous vegetable is good for the intestines. Salsify most often plays an accompanying role, served as a side alone or with other vegetables. Recently I had the pleasure of tasting a version of salsify confit, prepared by Chef Vivien Durand for a dinner at the Michelin-starred restaurant Le Prince Noir, in Lormont, near Bordeaux. Long slow cooking mellows the perception of the salsify and accentuates its rooty nature. Fragments of black truffle and a Porto reduction enhanced the salsify and contributed great flavor. Here, a pairing with red wine is possible. A superb wine from Croatia was served at this outstanding dinner, a 2009 vintage signed by Léo Gracin. This wine comes from rocky terraces around Primosten, in central Dalmatia and is a beautiful definition of the Dingac varietal. Dark fruit, spice, a hint of humus contributed by its positive evolution endow it with amazing complexity. Its tannic strength is countered by the confit aspect of the salsify. If I were to serve a French wine, I would again turn to the Mediterranean. 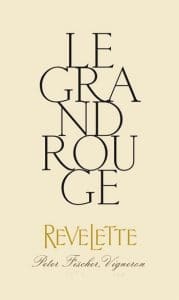 Here, a good recommendation is the 1991 Le Grand Rouge, a fine expression of Provence from Peter Fischer at Château Revelette. A blend of Syrah and Cabernet-Sauvignon, this cuvée undulates between garrigue, humus and undergrowth. Fine and flavourful on the palate, totally elegant overall. At the helm of Frenchie on Rue du Nil in Paris, chef Grégory Marchand prepares salsify glazed with honey, served in a crumble with parsnip and kumquat. This is a suave dish that is very peppy due to the citrus flavours and bitterness of the kumquat. Here the choice of a medium-dry white wine or a sweet white wine, one that has good acidity and is not too rich, is a good idea. My choice goes to a macerated wine, and to be more precise, I am talking about an orange wine from the Roussillon area. At Domaine Le Soula, Wendy Paillé delights us with a lovely cuvée, La Macération du Soula n°16, that, like the solera process, is made from several different vintages: 2009, 2013, 2014, 2015 and 2016. A blend of mostly Vermentino with Macabeu, Sauvignon blanc and Tourbat (also called Malvoisie du Roussillon), this subtle blend is macerated for fifteen days, which confers the fine tannic presence intrinsic to this type of wine. This tannic bitterness works beautifully with the root vegetable nature of salsify. The wine’s bouquet and flavor, which encompass candied orange and cinchona, pair perfectly with the kumquat.